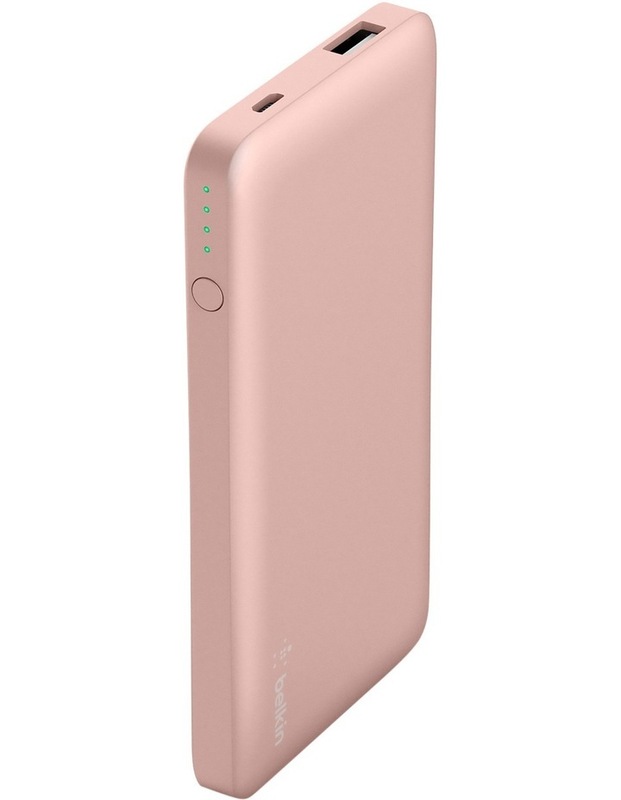 With a slim, lightweight power bank in your bag, its easy to charge up anywhere. Recharge your smartphone up to 1.5 times while the universal USB-A port delivers up to 2.4 amp to quickly and safely charge your favourite devices. • 5,000 mAh battery with 4 LED indicators to show battery power level. • 5V 2.4 amp total output quickly charges devices. • Compact and thin design for portability with a durable, plastic casing. • One universal USB port. • $2,500 Connected Equipment Warranty. 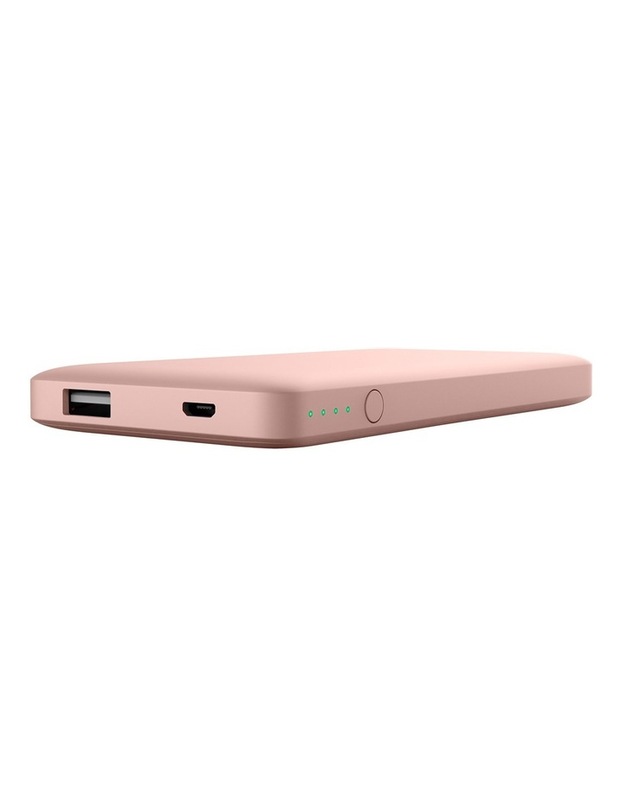 • Belkin batteries include sensors monitoring heat, voltage and circuitry?so the power bank?will not overheat and harm your devices. Any abnormalities shuts the battery down immediately.